Following on from our coverage of Curve and its split with American Express, the blog post below was published on the Curve website on Thursday morning. As few of you will find it there by chance, I thought I would reproduce it here. I have not edited it or added any commentary. You are probably aware that American Express has decided to block our customers from adding their Amex cards to Curve and making top-ups to their e-wallets. Amex has given no good or fair reason for their decision and we believe it to be entirely disproportionate and discriminatory to Curve and our joint customers. Although Amex cardmembers represent a small percentage of our customers, we believe the decision by Amex to be wrong. We believe consumers should be able to decide how they wish to access their money, and that progress should not be stifled by the whims of giants. So we decided to stand for what we believe in: that real innovation can prevail. Curve is an original and groundbreaking product that gives you, the consumer, greater control over your money and we are convinced that this is worth fighting for. Before I ask for your support of Curve in its fight for innovation and a level-playing field, let me share how this situation with Amex has come about. In 2016, when we launched Curve in Beta, we accepted Amex cards as one of our funding options, alongside Visa and Mastercard. We soon found out that Amex did not like this operating model, and were promptly told to remove Amex support from Curve. Back then we were a small startup with limited resources and, though disappointed, we were forced to acquiesce and continue to grow our business without them. This was a time before the game-changing PSD2 came into force and regulations did not forbid Amex from doing so. Although Amex’s market share of total card payments is less than 10% in the UK, it is a leader in the rewards market. 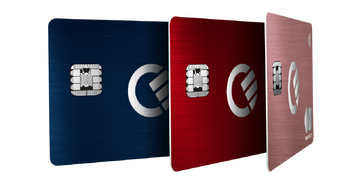 Curve cardholders who also have an Amex card represent a small segment of our customers, but for them, Curve can’t be ‘All Your Cards in One’, and they still need to carry two cards in their wallets. Moreover, the bigger problem these users have is that Amex acceptance in the UK and Europe is low, so they can’t use their Amex as much as they’d like to. All of the above explains why many of these customers asked Curve to bring back support for the Amex network. In January 2018, the EU’s PSD2 came into law in the UK under PSR 2017, and turned the payments industry on its head. It opened up the payments market to competition and innovation. In particular, it ensured that companies could access all payment networks (including Amex) on a level-playing field along with every other fee-paying and legitimate payment service provider. As a consequence of this radical change, Curve applied for a new merchant account with Amex and signed a Merchant Services Agreement on the 23rd of March 2018. The Amex team knew the history with Curve but were very happy to start working with us again. In fact the leadership team at Amex Europe were supportive and engaging and we jointly came up with the traditional top-up (prepaid) model approach that Curve launched this week. In particular, I personally spoke with Amex’s Head of Merchant Services in Europe, who gave his support and endorsement to our plan, understanding that the top-up model they requested differed markedly from how we operate with other card networks. He was happy to have this distinction. Aside from having a standard merchant agreement with Amex – allowing Curve to accept Amex cards like any other merchant – Curve never had a formal ‘partnership’ with Amex, nor have we sought such an arrangement. On the 19th of November, we re-launched Amex to a small group of Curve customers, as we do with any product (‘Closed Beta’). It is important to note that the Closed Beta wasn’t part of an agreed roll-out with Amex, nor was there ever a discussion on needing permission from Amex to roll it out to our customer base. Based on the agreement with Amex from March 2018 and the information we had, Curve could have rolled out Amex support to all its customer base in November – when the MVP was ready. The Closed Beta results were remarkable. Around 500 customers topped-up over £1 million in less than a month and their activity on the Curve platform increased by 25%. Daily communication with Amex employees was nothing but positive and encouraging throughout our Beta launch. They did express a desire to be involved in our launch communication plans and requested a meeting to align communications prior to our wider launch. The meeting was postponed to early January and then moved again at their request to Monday 21st of January. We continued to push back our main Amex launch accordingly, in order to respect their wishes. The official reason given for this meeting was to discuss Curve’s PR strategy for the main Amex (‘Open Beta’) launch, knowing that we planned to launch shortly. Instead, to our surprise, the Amex team stated that they were unhappy with the Beta, acting as if it were a joint operation. Amex raised concerns over customer experience without giving more details. This flew in the face of the data we had collected and our direct customer feedback. To be absolutely clear – this was the first time Amex ever mentioned any uneasiness with the integration, and it was never the case that we required Amex approval for the launch. Curve received written approval to launch Amex support in Curve the moment Amex signed the Merchant Service Agreement. We reminded Amex that strictly speaking we did not have a partnership but rather a Merchant Service Agreement, and if they wished to terminate it, the contract required Amex to give Curve 180 days’ notice. Moreover, we shared our legal opinion that by doing so they might be in breach of payment regulations and could demonstrate clear anti-competitive behaviour if they prevented Curve from accessing the Amex network – as they allow exactly the same functionality to other merchants, such as Paypal, Upay and Yoyo Wallet. The meeting finished without Amex giving us any formal notice and we agreed to continue the conversation at their offices at a later date. Our launch was planned for Monday 28th January. With this in mind, we decided to regroup to reflect: what would be best for our customers? Should we delay yet once again to an unspecified date, or launch? We decided to move forward with the launch for several reasons. Our Merchant Services Agreement was perfectly valid and our top-up mechanism was known and agreed-upon with Amex. Moreover, our legal advice told us we were protected by regulations, and Amex were unable to prevent Curve from accessing its network. The first day of the Amex launch was remarkable. Curve customers, especially those who were already Amex cardholders, gave us positive feedback on social media, and spent more than £450,000 on Curve via Amex in one day. Then, the bombshell. On Tuesday 29th January at 4.46pm UK time, Amex notified us that they were terminating their Merchant Services Agreement with Curve with immediate effect. With that move, and based on legal advice we received, Amex breached their contract with Curve, failed to give appropriate notice, breached PSR regulations, and demonstrated clear anti-competitive and anti-innovation behaviour. Most importantly, Amex seemed to show a total disregard for its own customers’ interests. We know that without your help we wouldn’t have achieved the heights we have reached to date. With your interests in mind, and our mission to deliver a truly innovative product, we intend to challenge Amex’s decision. We believe financial freedom is the future and we are prepared to fight for yours. This is not really about Curve or Amex; this is about you. It is about putting the customer at the centre and fostering a level-playing field in the financial space. To be clear, we are not asking you to slander Amex – we are still trying to understand the reasons behind their actions and hope to reach a commercial resolution. We have already sent a letter to them to reconsider their decision and have given them reasonable time to comply. Failure to do so will mean that we will be forced to exercise our rights in the courts and to submit complaints to the relevant regulators in the UK and Europe. You can support our cause by tweeting to the PSR and FCA, and letting Amex know your thoughts. Explain the benefits you see in supporting Amex in Curve, how it increases competition and choice, and request to review their decision. My AMEX transfer to Curve which was pending for 6 days has DISAPPEARED for good as if it was not there at all! But the monies were transferred to Curve and spent! Surely as an honourable person you will be reimbursing Curve since you have had the money? Let’s pool our resources together! My pending £100 has also disappeared into the ether. Of course Curve is entitled to claw this back but there doesn’t seem to be any function on the app for the cardholder to actively reimburse it. Whatever the case, this will have delayed a few sign up bonuses and 2 4 1’s being triggered! Just credited £75 to Amazon to make up for this. Actually that could be really inconvenient. If anyone had several £k pending which has already gone to a recipient and no idea when Curve will call on it, it could really mess up one’s earning strategy! Where does this idea of ‘claiming’ come from? Surely the money is paid to the merchant automatically? Presumably not in the event of a termination event. For example, if there were concerns over illegality, money laundering or much else I imagine the fund would not be passed to the merchant. I am sure someone who has an Amex merchant account will be able to opine. Not at all. Most merchants do automatically claim it but many (hotels, car hire for example) take time til they settle the transaction, possibly even changing the amount in the interim. They have usually at least 30 days to settle. As with any merchant account an pre-authorisation on funds will expire if they are not ‘captured’ within the required period i.e. 7 days. It looks like the pre-authorisation has not been captured for some reason, however depending on the merchant acquirer the settlement terms to the merchant can be anything from 7 – 30 days. Although the pre-authorisation has now lapsed, this does not mean that the customer is not still liable for the goods / funds that have been obtained and benefitted from. My guess is that Curve will exercise their right to obtain from the funds from a funding method and if this is no longer in place could potentially look to take legal action against the individual under such laws as the Fraud Act 2006. Assuming Curve is not in breach of their Amex Merchant account, and assuming this is a standard merchant agreement with no additional caveats linking it into a beta, they will still should have access into the Amex system to go back and immediately ‘capture’ a payment. If they are in breach of the merchant agreement with Amex and the merchant account is frozen, with no recourse, then they could go to plan B which is claim from another card or demand payment with some form of legal action threat if the monies are not paid. I know there are a lot of if, could, should and assuming, however none of us are party to the full details and this is speculative based on the limited information we have. I topped up my Amex Plat wallet on Curve to the tune of £1300. Like others here, the pending transaction has now dropped off my Amex card. I had a recent experience with eBay/PayPal for a large sum which dropped off, and then PayPal put it through 30 days after the purchase date, that was very annoying to say the least and pushed me over my credit limit. I spoke to Amex at the time and they said that although it’s unusual for a Merchant to put the payment through so late, they are within their rights to do so. I was planning on closing my Amex Plat this week so it’s all a bit annoying. I would like the 1300 points. I’m sure Curve will try and put the payment through again at some point. But seeing as the same seems to have happened to a lot of people, I’m guessing there’s something going on here. Same. About £800 of pending payments on two Amex cards showed pending for days. This morning there is no trace of those payments on either card. The money has gone from my Curve account and I have receipts from HMRC for the payments. At this point I’ve paid a chunk of my tax bill for free but presumably Curve will be sending a bill of some kind. Does anyone know if they just bill your current account in this unusual circumstance? Curve sent a £300 hotel charge through to Amex before they pulled the shutters down. It sat in Amex Pending for a few days. I had an online chat with Amex and told the agent it was a legitimate charge and not to consider it fraudulent. He said it would hit my account soon. The £300 pending charge has totally disappeared off my Amex transactions today. Presumably Amex have rejected it as a matter of policy leaving Curve to decide where to send the charge. That has to be the presumption, as many here have reported something similar. I guess this will lead to an immediate & very serious cashflow/ credibility problem for Curve. Rather a bad Curve management decision to unilaterally go for the ‘wider beta launch’ (sic) – despite Amex saying ‘hold fire, please’. Surely you have a lump sum amount on your amex from Curve? That’s the amount curve have charged to your Amex, and then everything else comes out of that pot of money without hitting the amex directly? Difficult to square the circle. Somebody tell me where the money’s coming from etc? No – e.g. my Amex is showing no transactions and no balance whatsoever on the Curve app, however I topped it up with £400 in total and spent it. £300 of this has been charged to Amex but the other £100, which was still “pending” in my Amex account, now isn’t showing anywhere. The issue of top ups not being charged to Amex might just be a curve IT issue. There was a similar problem a few months ago where the underlying credit card was not charged. The charges all went through on the same day after about three weeks. This is an interesting one because if Curve no longer have an active Merchant Services Agreement with Amex can they recharge the cards at all? I topped up, and promptly used curve, to spend £1.8k which also first showed as pending and has now dropped off my Amex account. When I called Amex about it they said that Curve *should* have completed the transaction within 7 days otherwise they’d need a new authorisation from me. I’m now wondering what T&C’s Curve might try and fall back on to recoup that. Very interesting, and grossing this up I wonder how many customers / how much £ affected. An administrative nightmare for Curve, doubt (m)any fintechs would have mature incident management experience or be able to shift resources to quickly handle a crisis like this!! Slightly off topic but since the changes to curve it has asked me to verify all my cards which failed, and so I deleted and attempted to add them every single card comes with an error message saying that the name on the card is missing, but there is no way if adding the name! I did find Curve useful, and not as way of manufacturing spend, but as a way of putting different types of foreign spending onto different cards. Unfortunately, it seems as if they broken their app and despite sending messages to ‘support’, I am none the wiser as how to add the name to a card. Oh well, it was a useful app for a short time. Perhaps they will fix it at some stage, who knows. I had this on mine (Android). I had to clear the App cache (alternatively remove and reinstall the app). It then worked fine. Website still says it supports Amex… lol. So does the Curve app, under “Manage Your Subscription”. Real shady stuff. Website no excuse, but app changes do take a while to test and work through the approval process with the respective stores. I have asked for a refund of the £150 subscription. Curve have ignored my request . I spoke to Amex who were less than helpful and told me my issue is with curve and not them . Looks like I can kiss that money goodbye. To be fair it isn’t anything to do with Amex. You should be speaking with the FCA, Trading Standards, ASA etc. Ermm why not just let Curve refund you as they’ve already said they’ll do? Why? They’ve said they’ll refund anyone who asks with 28 days of upgrade. They’re obviously fairly busy just now but if you’ve requested it what makes you say they won’t honour it? So, Curve and it’s CEO have gone quiet. Their social media team are pushing the £150 metal cards like crazy and social media is ablaze with rumours that they’ve run out of money. What’s going on? Funny you should say that because Curve’s CEO tweeted for the first time since December today. The tweet was rather pathetic unprofessional, throwing shade at Amex, without naming them. It does seem that Curve are having financial woes; now whether that just means keeping the rewards and referral systems offline for a little longer or closing up shop I don’t know. Interestingly on top of what every one has already discussed ad nauseam, there seems to be another issue raising its head, concerning Curve issuing commercial cards Mastercards to non-commercial customers. Curve did do limited sample checks way after the event, however, to confirm that commercial cards were in fact issued to commercial customers. My wife was asked this and then provided the CRN of the co she’s a director. I was never asked to provide evidence and I don’t think many were. According to their website Curve are looking to hire 21 people for various roles. This would imply there isn’t a cash flow problem. It is odd that the rewards and referral side of things was taken down around the time Amex support was dropped. This seems to be were people have put 2 & 2 together and come out with financial problems as the answer. None of this has been helped by Curve and it’s CEO keeping mum; any well run company would have released some sort of an update by now – and I think I’ve hit the nail on the head, Curve is being run badly. Rewards has been down for a couple of months in the beta app, they launched it to live before fixing that. It’s been that way since beta. Lots of chat about it on the community pages. Is apparently being worked on, no timescale yet. Should still be earning fine. What did you all manage to get out of the short lived Amex tie-up? I managed a BA 241 but have a feeling others did a lot better. Anyone get big sign up bonuses in or status with spg? Triggered 1x 20k bonus on one card, and will trigger the same on another… if Curve actually charges the card. The charge showed as pending for a time but has now completely vanished. For me the overriding issue with Curve is the desparately poor customer service. I am entrusting £1000s of payments with them every month and all they can offer me in return is a terrible customer service centred on chat messaging. My Reward Points have been frozen for 3 weeks now and all i get are lame excuses of system issues and hollow reassurances that those points are safe. They wont be safe if Curves investors get spooked that the furore around Amex highlights a fundamental risk with their business model. Furthermore the irony of Curve advising we tweet FCA about the Amex withdrawl isnt wasted when you consider FCA should be more concerned about Curve itself which must be handling £m of payments every day and its failure must present a risk to the payments market. Things have got so bad, and the rumours of financial problems have become so rampant that someone has actually tweeted at Curve’s CEO, Shachar Bialick asking him if Curve is in financial trouble… so far he’s failed to respond. Not a good look. He is alive and well because he emailed me yesterday with a question about whether a proposed new Curve feature would be attractive. Oooh, don’t tell me… is it AMEX support? Did you suggest that his people might be better employed making the current features work? I’m not sure anyone has expressed concern about Shachar’s wellbeing; Curve’s however is a different matter! @Grant Given how Curve are going, that genuinely wouldn’t surprise me. It’s a red flag when a CEO of a high risk company is focused on new services. They should start reassuring loyal customers that there is nothing to worry about and the Rewards will be available straight away. But we may never see our awards again because as soon as they switch them back on again, there will be a stampede to withdraw and Curve may not have the liquidity to meet them. A classic run’on the bank, but in this case there’s no one in the background providing a guarantee. But I hope I’m wrong. And Rob, when Shachar messages you, do you ask about the concerns of their customers, particularly as you were such a strong champion of Curve at the outset? Have just received my refund from curve for my metal subscription. £150 arrived back in my Amex account this morning + the rewards appear to be back and functioning on curve blue . Any Updates on the Curve Amex reinstatement? You gotta be joking, right?